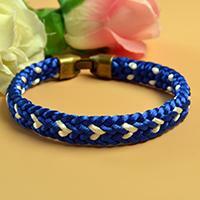 Summary: Wanna try nylon thread bracelet? 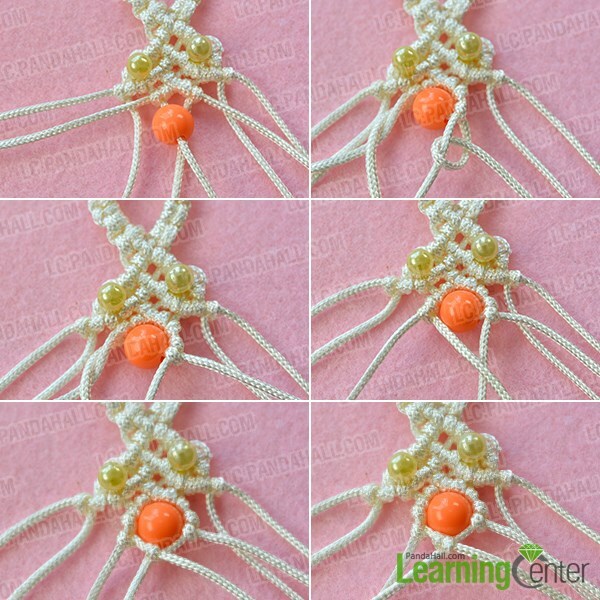 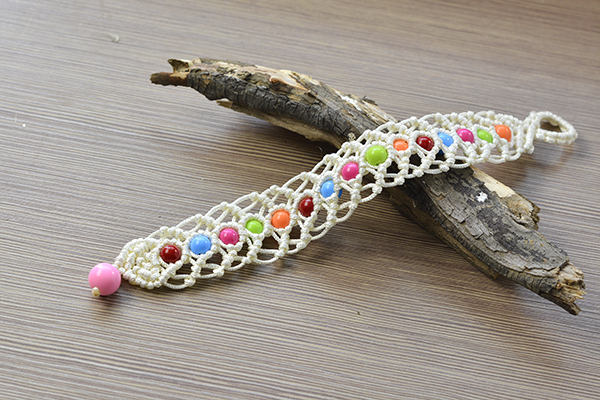 If yes, you cannot miss today’s Pandahall tutorial on how to make colorful braided nylon thread bracelet with round acrylic beads! 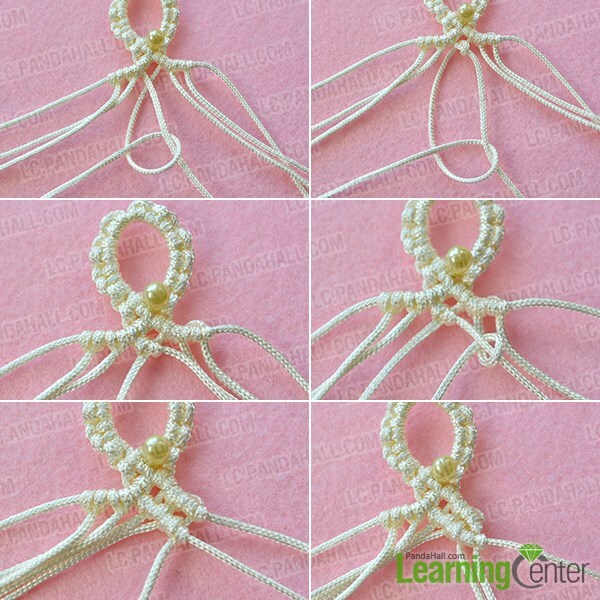 2nd, start to braid the two nylon threads on the right side like below. 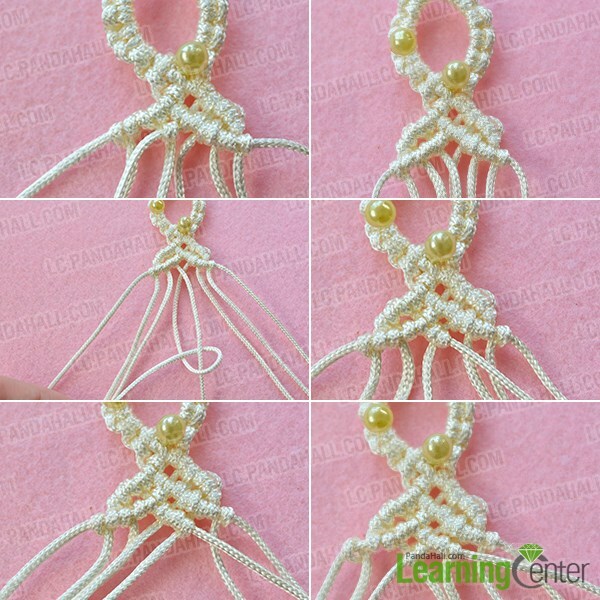 3rd, start to braid the two pieces of nylon thread on the right side two times like the showing picture. 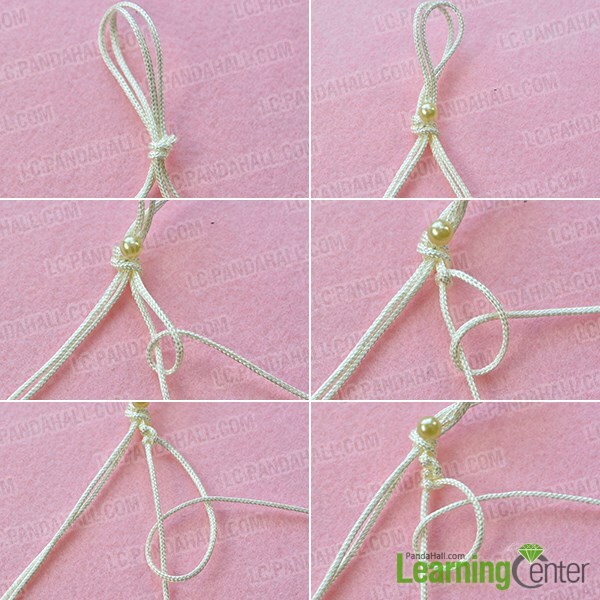 3rd, continue to hang two pieces of beige nylon thread on the outer right one. 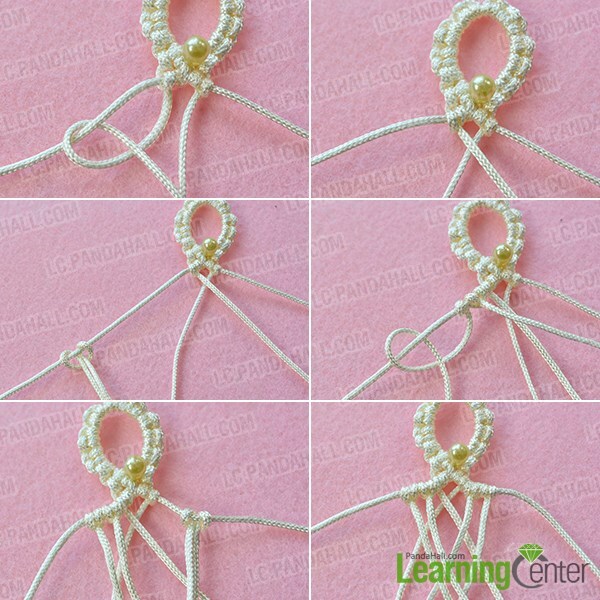 2nd, braid the three pieces of nylon thread on the right side around the right one in the center, please see the showing picture below. 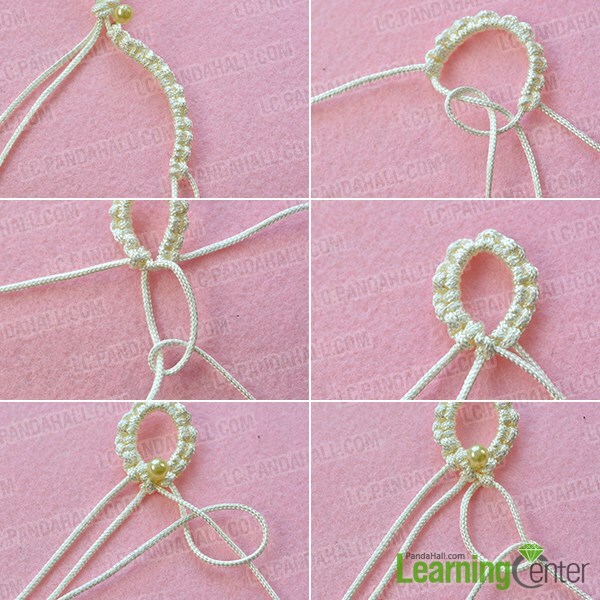 5th, wrap the inner nylon thread on the left side around the left one in the center. 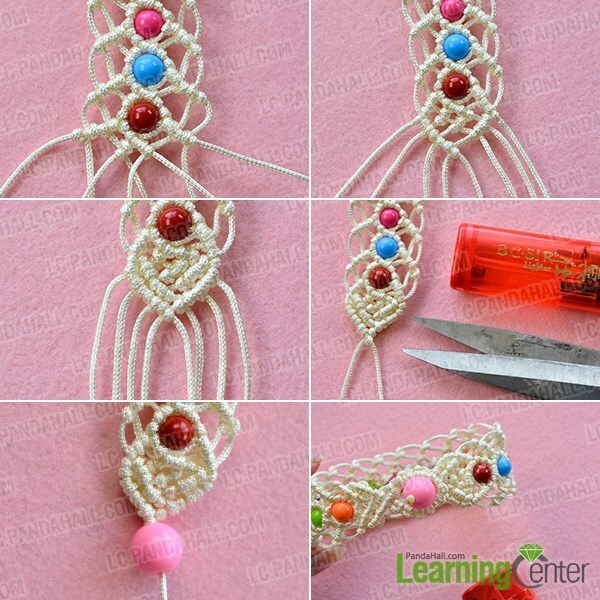 3rd, braid the nylon threads on the right side in the same ways. 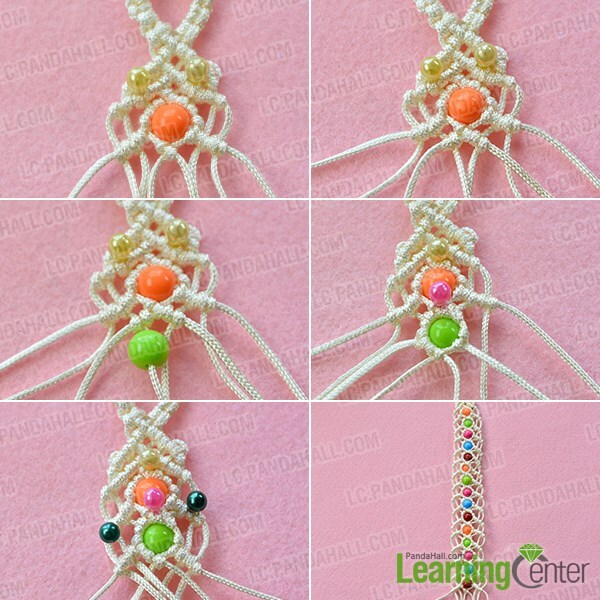 2nd, repeat the way to add other colorful acrylic beads on the nylon threads. 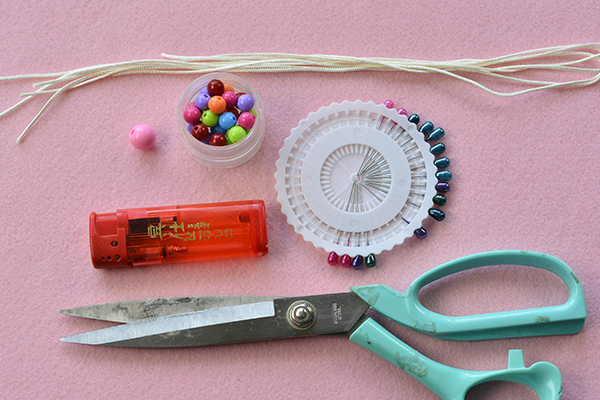 2nd, cut off the excess nylon thread and make it neater with lighter.